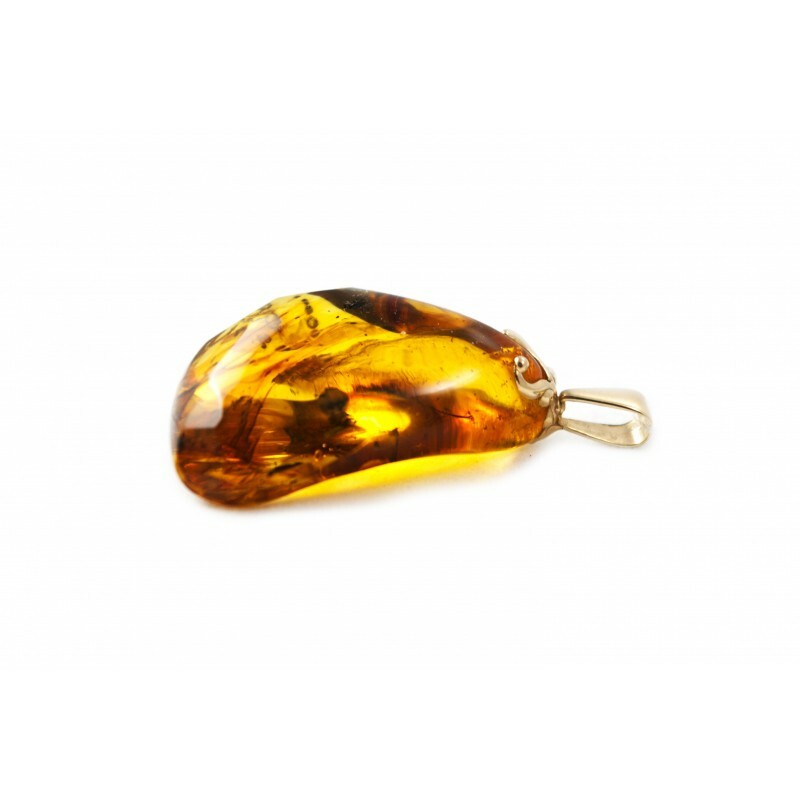 Square, Baltic amber pendant with inclusions. A play of reflections, shadows and colors in this clear piece of amber flooded with soft amber drops. Play of colors, angularity, arrangement of inclusions in this amber creates the distinctive impression of a specular reflection and the sense of "unreal reality".